Panoramic marina, ocean, and sunset views! Very private with only 2 units per floor. Features an open floorplan, new vinyl plank flooring, new interior paint, stainless steel appliances, granite counter tops, split AC system, Toto washlet, rain shower heads, & more! Amenities includes BBQ area, recreation room, exercise room, salt water pool, meeting room, security guard, resident manager, and extra storage space. Pet friendly, good school district, and a great location close to schools, bus-lines, shopping centers, and perfect for enjoying the conveniences all that Hawaii Kai has to offer. 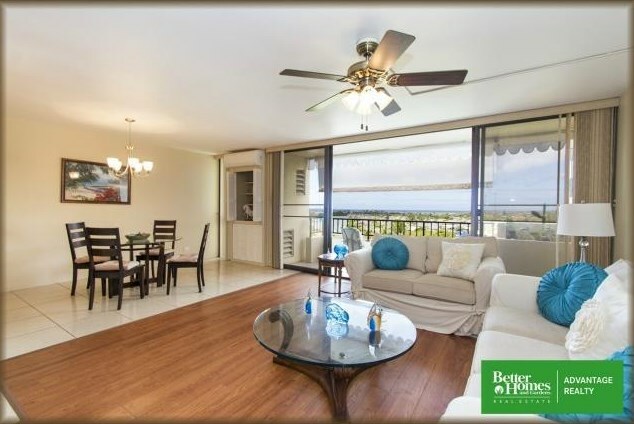 6750 Hawaii Kai Drive #604, Honolulu, HI 96825 (MLS# 201511825) is a Condo / Townhouse property that was sold at $610,000 on October 07, 2015. Want to learn more about 6750 Hawaii Kai Drive #604? Do you have questions about finding other Condo / Townhouse real estate for sale in Hahaione-Lower? You can browse all Hahaione-Lower real estate or contact a Coldwell Banker agent to request more information.